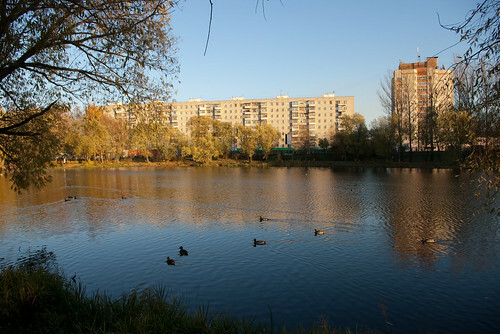 The migrant ducks on the pond in the park "Neftyannikov". Wednesday, October 21, 2009 in Photo. You can comment (already 4 responses). Russian learning lesson with the transcript: the dialogue "The First Snow". The song "Nebesa" of Yaroslavl music band Broadside. Russian music with lyrics. The transcript of the whole 4th episode of the podcast on Google Docs. The presentation of the podcast (as in the video) in PDF format. Download Yaroslavl For Me Podcast, Episode 4 (mp3) or Subscribe to future podcasts. Tuesday, October 20, 2009 in Podcast. You can comment (already 2 responses). 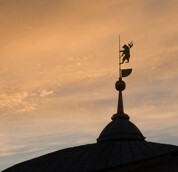 We are opening a new sub-project of our Photo section: 33 Minutes of Yaroslavl. During 33 minutes we take photographs of interesting places of Yaroslavl and than we make a shot film to show our city in action. 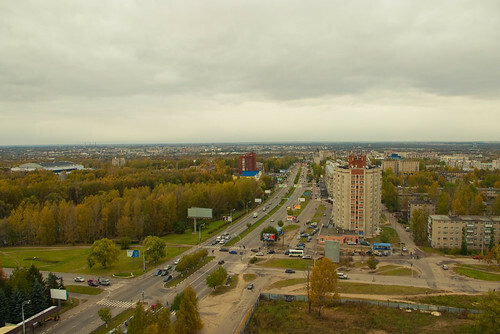 The beginning of Svobody street in October (map of this place). And it is Saturday. Sunday, October 11, 2009 in Photo. You can comment (already 2 responses). The view of Moskovskiy prospekt from the top of a high building. Tuesday, October 06, 2009 in Photo. You can comment (already 2 responses).